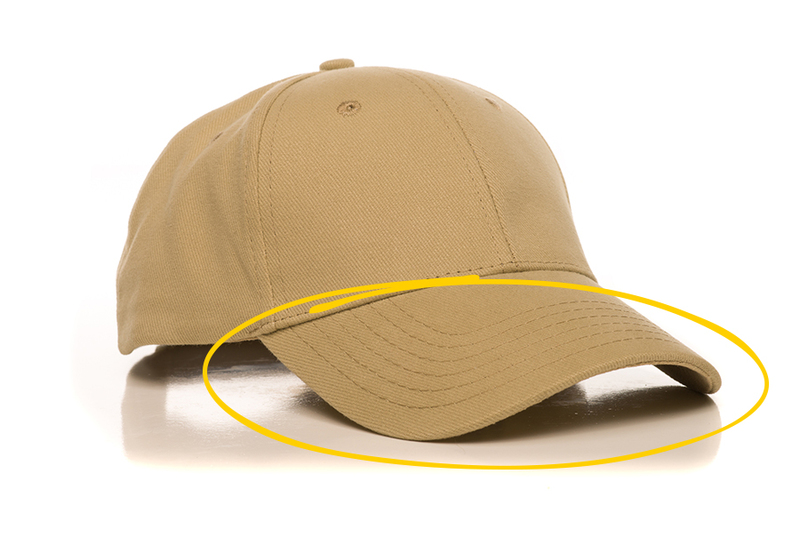 The center top of a hat, the button can be decorated in a number of ways, including matching cloth or even metal. 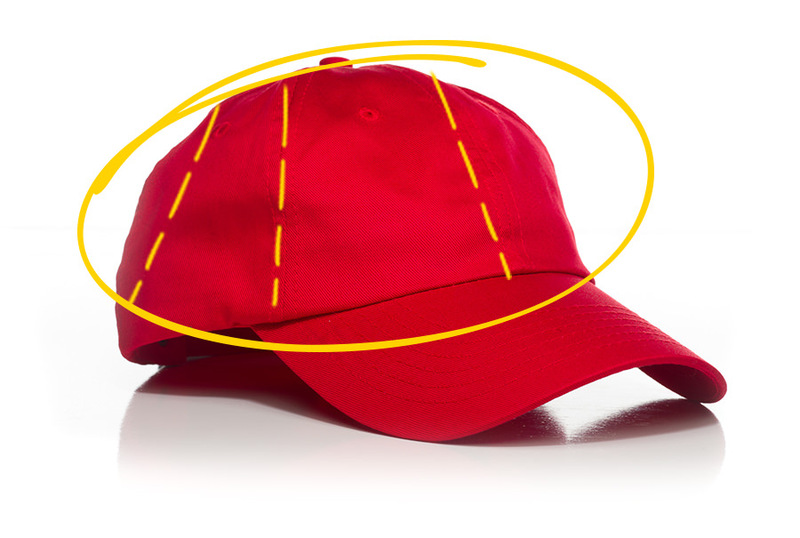 The "quadrants" of a hat. Customization could be applied to each different panel of a hat. 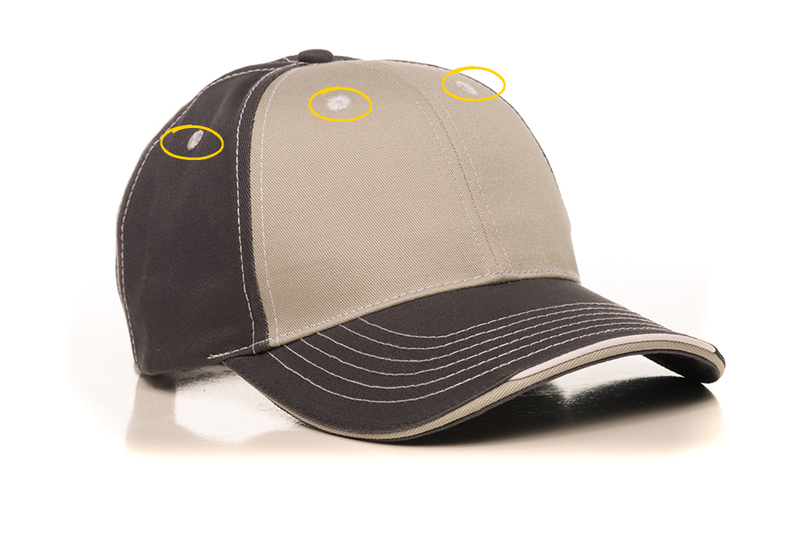 Small holes in a circular shape around the button at the top of the hat. Typically "six sewn" or "metal". 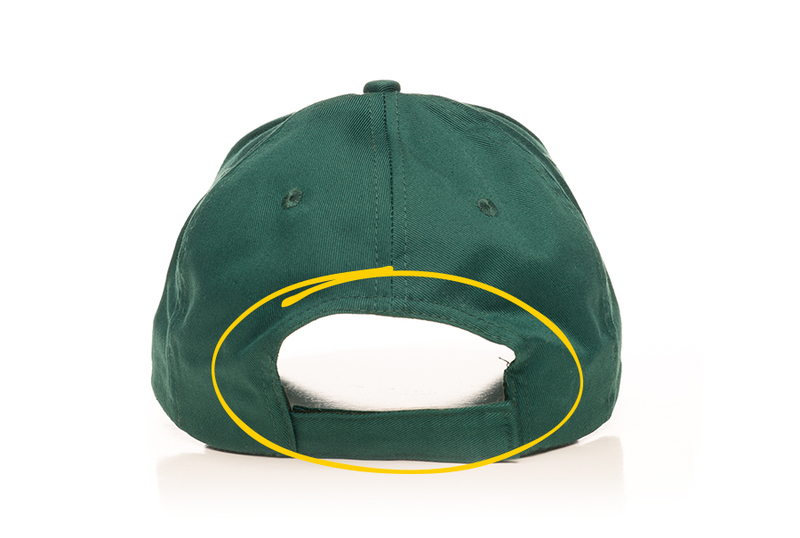 A unique layer of fabric "sandwiched" between the top and bottom part of the front of the cap bill. 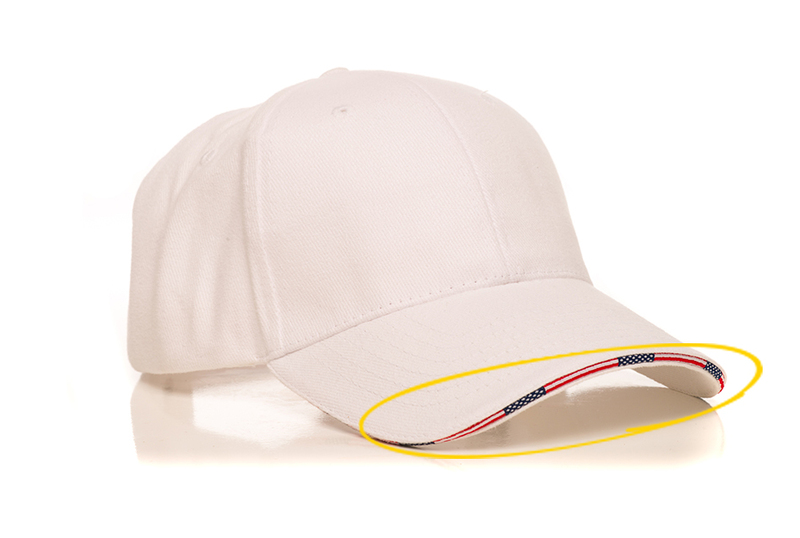 As a convenient way to adjust the size of headwear, a closure comes in multiple styles such as a velcro strap, buckle or snap. Are you ready to build your custom hat? Click Here to check out our online catalog!